Our highly qualified coaches love instructing classes and working one-on-one with athletes via personal programming, training, and nutrition coaching! For more information, email us at info@crossfitabilene.com. 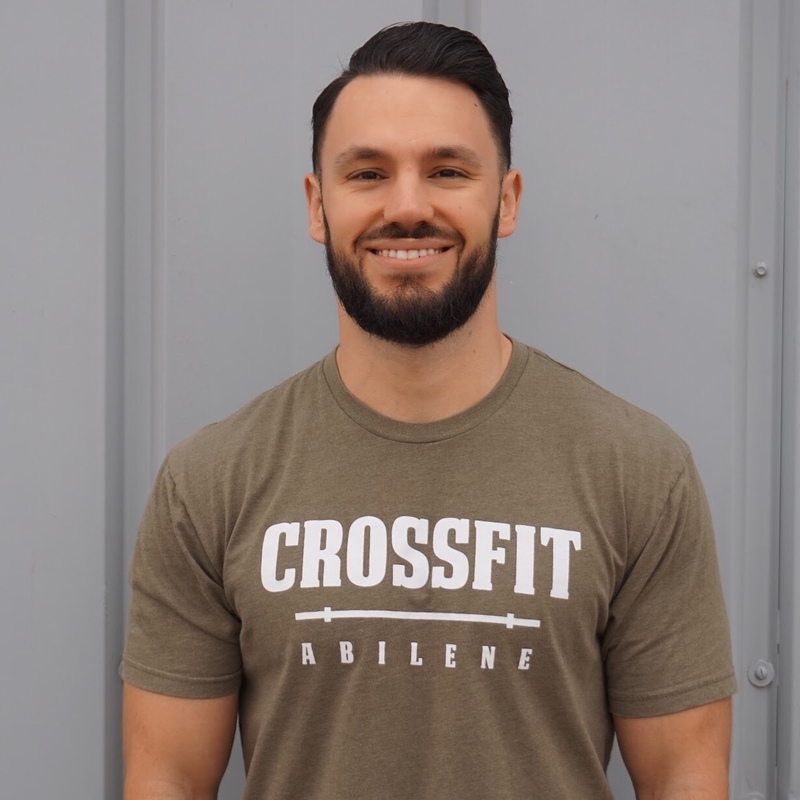 Braden is a CrossFit Level 2 Trainer and Co-Owner of CrossFit Abilene. 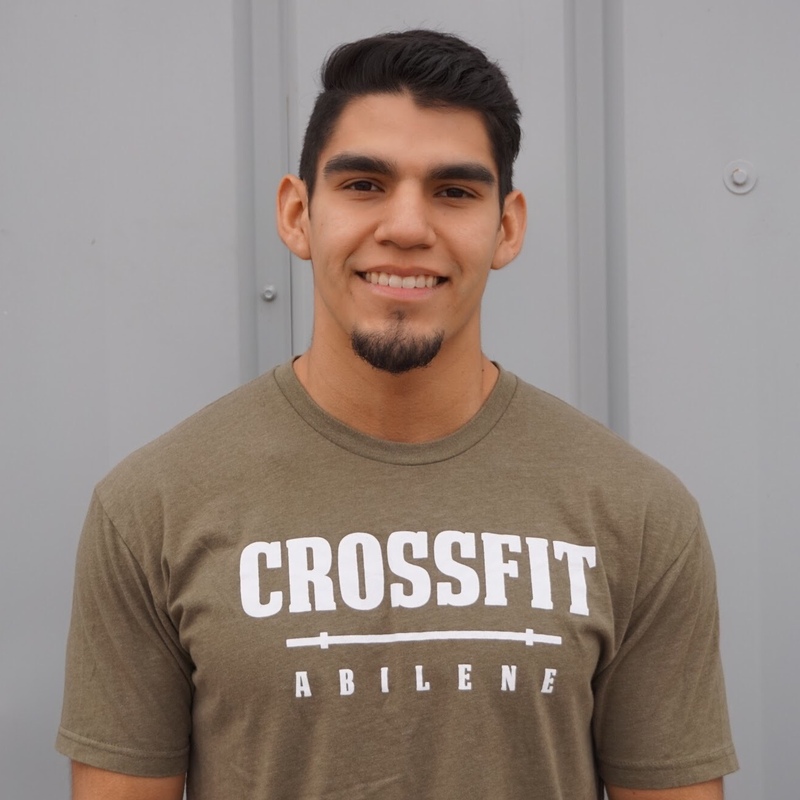 Braden has competed in the sport of CrossFit since 2013 in local competitions and competed on the CrossFit Abilene Team at the South Regional in 2017. He holds a bachelors degree in History from Hardin-Simmons University where he played quarterback and receiver on the football team. When he’s not coaching he works as a salesman at Barr Roofing. When Braden isn’t at CFA you can find him watching the Dallas Cowboys. He and Carla are married and have one little girl, Blake. A goal he wants to achieve in 10 years: Doesn’t have one because he likes to live in the moment. 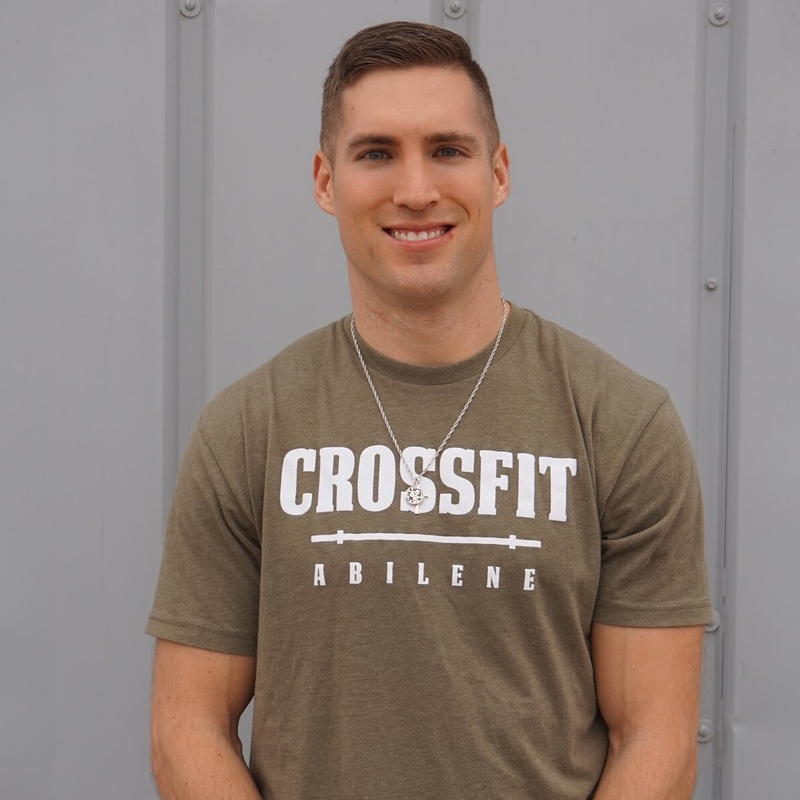 Clayton is a CrossFit Level 2 Trainer and Co-Owner of CrossFit Abilene. Clayton has 7 years of experience in the sport of CrossFit, and was a part of CrossFit Abilene’s 2014 Regional’s qualifying team. He holds a bachelors degree in Mathematics from Eastern New Mexico University where he played baseball and was a two time all-conference selection as an outfielder. He also holds a bachelors degree in Mechanical Engineering from Texas Tech University. When Clayton is not coaching he works at Rentech Boilers as a Sales Engineer. He is married to Jessie Jo Young and has a son, Gibbs, and a daughter, MJ. A goal he wants to achieve in 10 years: to have traveled to at least two other continents for vacation. 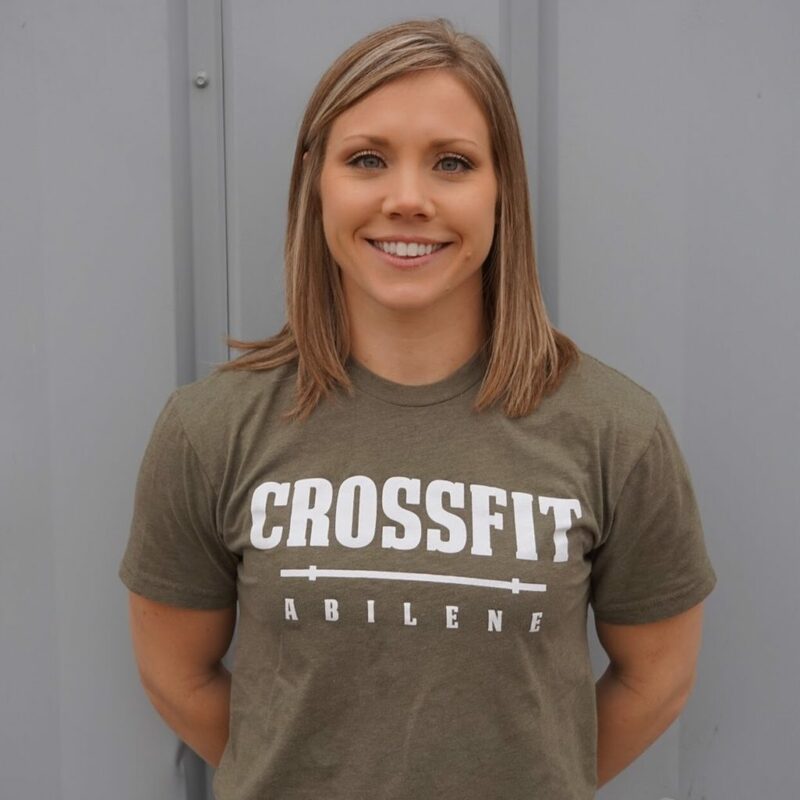 Jessie is a CrossFit Level 1 Coach and Co-Owner of CrossFit Abilene. She has competed extensively in the sport of CrossFit with a 15th place finish at the 2013 South Central Regionals, a 1st place finish CrossFit Games Open among females in the region in 2014, a 10th place finish at the 2014 South Central Regionals, and a 16th place finish at the 2015 South Regional. 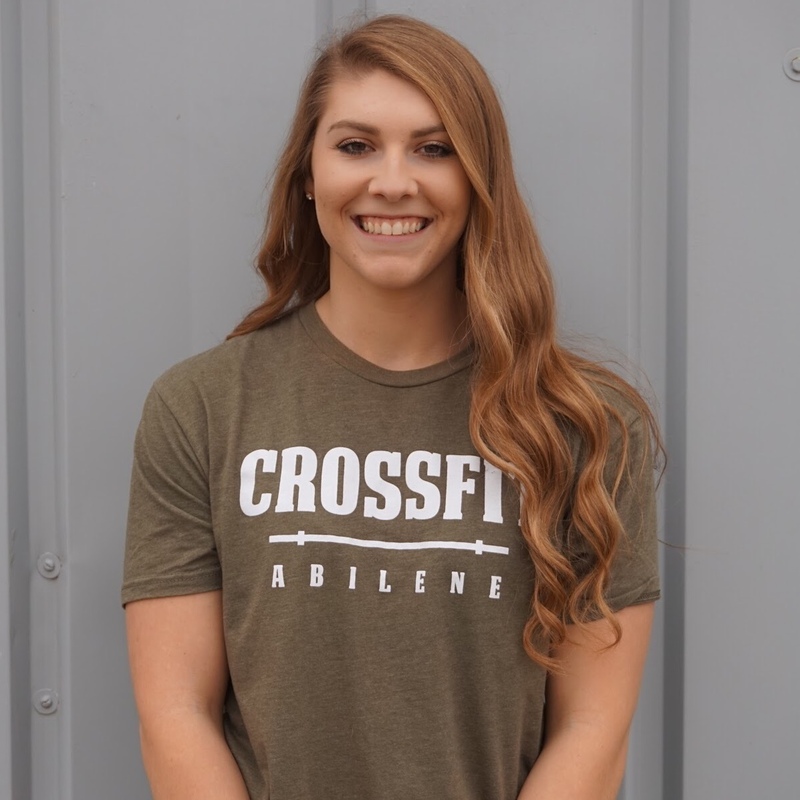 She competed on the CrossFit Abilene Team at the South Regional in 2017. She holds a bachelors degree in Exercise Sports Science with a minor in Nutrition, and Master’s of Physician Assistant Studies from Texas Tech University. She pole vaulted for TTU with a best jump of 12″7′. At Jim Ned High School, she participated in cheerleading, power-lifting, cross country and was on the track and field team where she holds the class 2A state record in the pole vault. When she is not at the gym she works as a PA at Abilene Bone and Joint for Dr. Watts. Jessie is married to Clayton and a mom to Gibbs and MJ. A goal she wants to achieve in 10 years: Practice Functional Medicine by treating the root cause of disease. Carla is a CrossFit Level 1 coach and Co-Owner of Crossfit Abilene. She also holds a bachelor’s degree in Exercise Science and Human Performance from McMurry University, and a doctorate in Physical Therapy from Hardin-Simmons University. 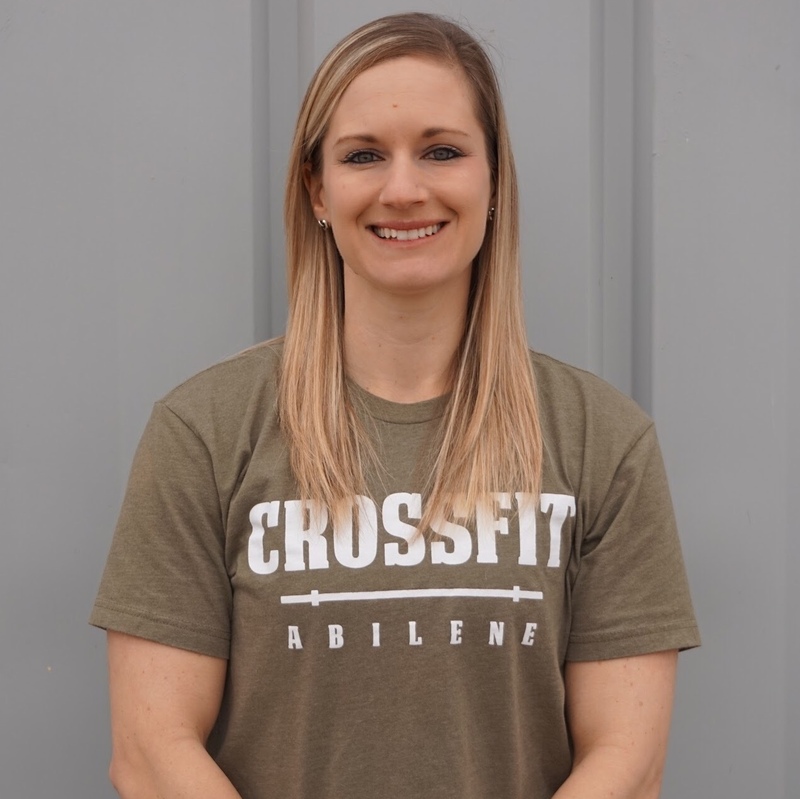 Carla has competed extensively in the sport of CrossFit, which included a 23rd place Open finish in the South Central Region, and she was also a part of CrossFit Abilene’s 2014 regional qualifying team. Carla finished 27th in the 2015 South Regional and 22nd in the 2016 South Regional. 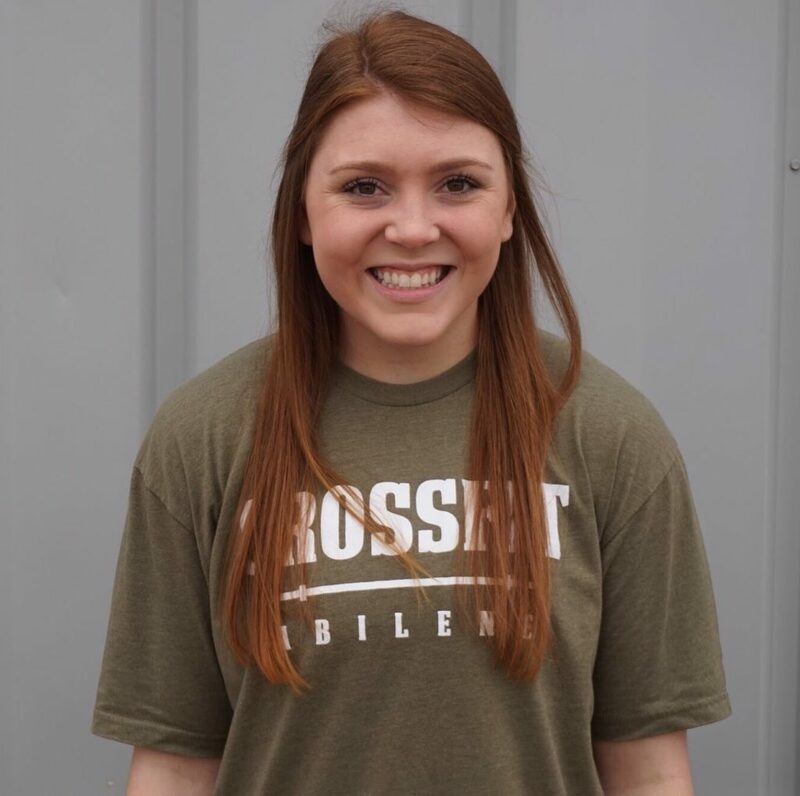 Carla was also a member of the Crossfit Abilene Team that competed at the South Regional in 2017. She ran cross country at McMurry and was a two time conference champion, and also ran in the Division III cross country national championship. She was also a member of the McMurry track team where she ran the 800m, 1500m, and steeplechase events. When Carla is not at the gym she works as a PT at Hendrick Medical Center. When Carla is not at the gym she works as a PT at Hendrick Medical Center. Carla is married to Braden and they have a sweet little girl named Blake. A goal she wants to achieve in 10 years: Run a marathon and qualify for Boston. 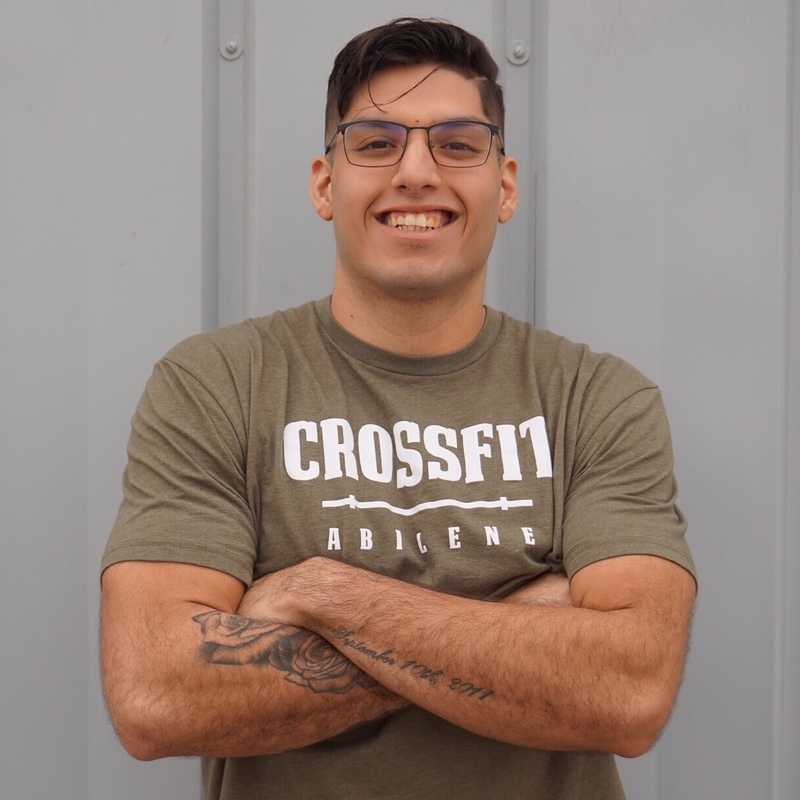 Matt Ramirez has been an active CrossFitter for 4 years and began coaching with his L1 certification in January 2018! Matt is from Roby TX but is currently a student at Abilene Christian University. When he isn’t at the gym he enjoys relaxing and yelling at the TV while playing video games (especially Fortnite). Favorite food to eat: Taco Bell…sometimes more than once a day. Hollee Rogers has been coaching CrossFit for 3 years and training for 4 years. Before receiving her L1 CrossFit certification she was actively involved in gymnastics and cheer in the Dallas area. Now you can find her attending classes or Ko Jo Kai events on Abilene Christian University’s campus. A goal she wants to achieve in 10 years: Be a physical therapist for a professional sports team. Jodi is a CrossFit Level 1 coach. She holds a Bachelors degree in Exercise Science and a Doctorates degree in Physical Therapy from Hardin-Simmons University. Jodi is also a Certified Strength and Conditioning Specialist (CSCS). Her athletic background includes high school and club softball, basketball, track and field, and cross country. Jodi played collegiate softball at Concordia University Texas and Hardin-Simmons University, where she was a first team all-conference selection as an outfielder. She also holds the single season steal record for both Concordia University Texas and Hardin-Simmons University. Jodi works as a full-time outpatient Physical Therapist at West Texas Rehabilitation Center. When Jodi is not at the gym, she enjoys spending time outdoors with her friends and her adorable dog Ace! When she’s not exploring or working out she’s likely at Hobby Lobby. Bueno has been doing CrossFit for 2 years and started coaching with his L1 in August 2018. He is proudly from Atlanta, Georgia. Bueno keeps our CFA family laughing during workouts by telling jokes, playing pranks, or giving constant encouragement. Because he works hard burning off calories at the gym, he loves visiting new restaurants when he’s not at CFA. Favorite food to eat: Rockin Rollerz Poppin Johnny Burger. SO GOOD! A goal he wants to achieve in 10 years: Hope to still be happy with my life, whatever that may be. Becca has been doing CrossFit for 3 and a half years and has coached for two. 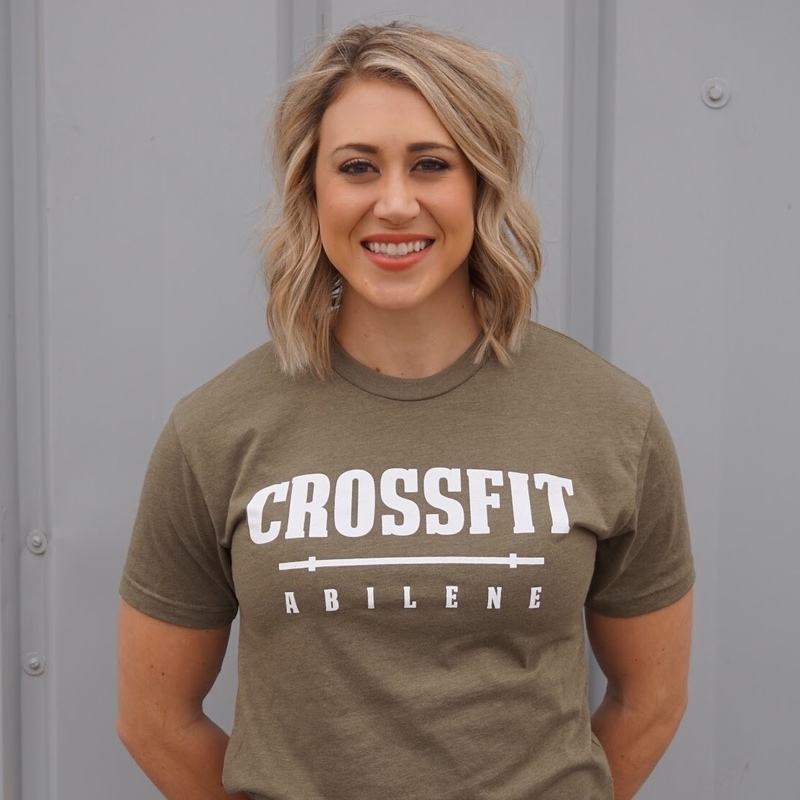 Not only is she a CrossFit Abilene coach, but she is also the gym’s full time manager! Becca is originally from Abilene but graduated from Texas Tech in December 2018. The proud dog mom has a sweet pup named Kova that can be seen all over her social media profiles! Catch Becca on a golf course or making a mess in the kitchen when she isn’t at the gym. Favorite food to eat: Breakfast food, all day everyday. A goal she wants to achieve in 10 years: Earn her MBA, CrossFit Level 2 certification, and get a sports nutrition business up and going. The rest is a surprise!